We’ve all been through the horrible mistake of not wearing sunscreen with the wrong clothing item, falling asleep under the sun with your sunglasses on, or just getting the -all so charming- “farmers tan”. In this article we’ll be going through some tips and tricks to get rid of those tan lines, and how to prevent this from happening all over again. Since our body can be more sensitive in some areas than in others we need to take this into consideration to get rid of the tan lines. 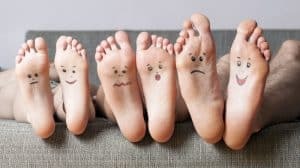 This article will provide options for different areas of the body and how often you can treat them. DISCLAIMER: I understand that there are people who love their tan and that enjoy having a colour. This article is meant for people that have gotten unwanted tan lines and want to get rid of them. 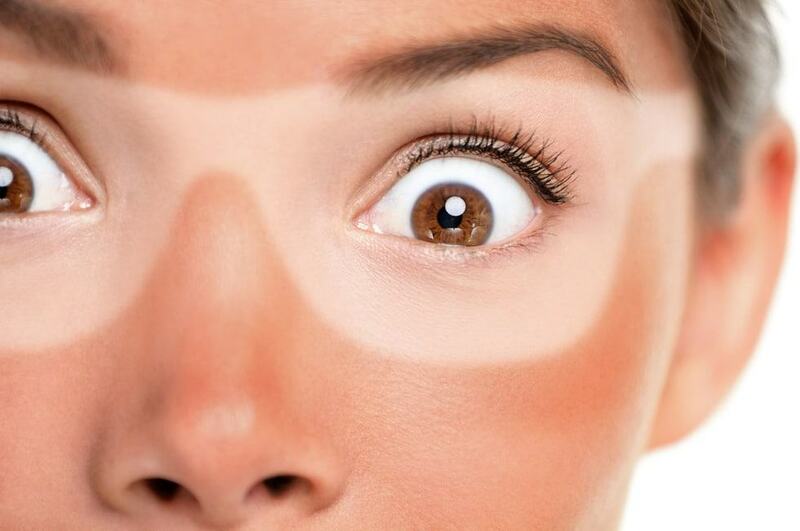 To avoid getting more unwanted tan lines you need to cover up and wear sun block cream for the time to come. All the work that you will put into getting rid of your tan lines will be in vain if you are constantly getting new ones. The best time to get rid of tan lines is in winter since you’ll probably be covering up a lot and chances of tanning are quite low. If you are in a place where it’s summer all year long you will need to make some sacrifices. Find a time where you don’t have any beach trips planned and where you can easily take a month or two to get rid of those lines. Understand that this is a process that takes time. You won’t be able to get rid of tan lines in one day without destroying your skin and no one wants you to do that. 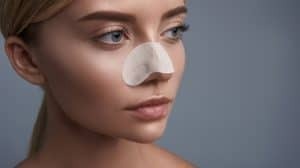 We will be treating the tan lines with DIY home remedies, we will not talk about chemical peelings since we want you to be able to do this at home. If you still have a sunburn do not attempt any of the methods listed in this article. These methods are meant for when you have already a tan and not a burn. If your skin is sensitive to touch, or if your skin gets white when you press on the tanned area, it means that it’s still burned, and that you must wait a couple of days before attempting getting rid of your tan. If you are still sunburned you will need to hydrate your skin as much as possible. To make the process of getting rid of your tan easier we need healthy skin. If you proceed to scrub your skin while it’s sunburned you might damage it and there is the possibility of scaring. Apply aloe vera gel to the affected area 3 times a day. You can buy the aloe vera gel in most beauty and/or health shops, or buy a piece of aloe vera at your local grocery store. If you buy the piece of aloe vera you will need to cut the sides and peel it to use the gel. You do not want any of the skin so make sure to get rid of all pieces of skin before applying it to your body. Aloe Vera can be used for all types of skin and can be used for any part of your body. This gel will moisturize your skin and help it through the healing process. It also has antibacterial properties which will prevent any infection from happening, it reduces inflammation and it increases the elasticity of the skin during the healing process. I only use this method when my sunburns are extreme. You will smell like vinegar by doing this but it relieves the burn and helps the healing process. Apply vinegar on a cloth and place the cloth on the affected area. You can use multiple cloths if the area is too big. Leave the cloth on the burn for about 30 min and repeat this up to 3-4 times a day. Apply coconut oil on the sunburn to keep your skin hydrated. You can apply this as many times as you like. It works best if you apply it after the aloe vera has sinked in and dried. The same for the vinegar, apply the coconut oil after removing the vinegar cloth to moisturize it. Coconut oil also has antibacterial properties to prevent any infection from happening. These recommendations will help you heal your sunburn as soon as possible so that you can start working on the removal of the tan line. Do not continue to the next steps if you still have a sunburn. I repeat, It will damage your skin. To remove tan lines we need to be cautious. We want to shed the top layer of our skin since this is the one that has acquired the pigment. To do this, one of the most effective ways is to help your body naturally replace that top layer with new healthy (not burned) skin. There are different ways of doing this, but we will only dive into natural DIY remedies so that you can easily do this in the comfort of your own home. The best way to remove the top layer is to exfoliate the skin. Again, this will take time so give yourself a month or two to go through this process. I will list here below which methods are best to use and for which areas of the body these are suitable. I can’t stress enough on the benefits of dry brushing. You’ll need a dry brush with natural bristles (not synthetic ones). Dry brushing will help you remove the dead skin cells and help your skin absorb moisture and nutrients better. Start at your feet and slowly create sweeping motions in direction of your heart. Mix half a cup of oatmeal with one tablespoon of sugar and half a cup of milk. Let this paste sit for minimum 30 min. If you can leave the paste for 1-2 hours it will work better. Apply the paste to the affected area in circular motions and rub it in for about 5 min. Leave it on the affected area for approx 30 min until it dries. When it’s dry start rubbing again in circular motions and slowly rinse it off with lukewarm water. You can repeat this process 3-4 times a week and you can keep the mixture in the fridge for 3 days. This method can be abrasive so do not apply on the face unless your are completely sure that your skin can take it. Lemon juice stains when it gets in direct contact with the sun so do not use this method if you are going outside. It’s best to try this at night at home. Mix the fresh juice of the lemon with a teaspoon of salt and a tablespoon of honey. Apply this mixture on the affected area and leave it for 20-30 min. Rinse out with lukewarm water. This process can be repeated 2-3 times a week depending on your skin sensitivity. If you feel that this mixture is to abrasive for your skin use it 1-2 a week. You can keep this mixture in the fridge for 6 days. This magic paste will leave your skin feeling so smooth that you’ll keep using this as a moisturizing mask. The perfect mix of cucumber and aloe vera help fade the tan lines while moisturizing and refreshing your skin. This mixture also has anti aging properties to it’s perfect for the delicate areas like the neck, chest and face. Peel the cucumber and blend it to a paste. Add two tablespoons of aloe vera gel and blend together. Apply this paste on the affected areas for 30-60 minutes and rinse afterwards with lukewarm water. To seal your pores do a final rinse with cold water. This mixture also helps get rid of dark circles under the eyes and any skin discolorations. Avoid contact with eyes. This process can be repeated daily and the mixture can be kept in the fridge for 2-3 days. Extract the juice of one tomato by blending it (You can filter the pulp out if you’d want a smoother mix). Add one teaspoon of turmeric. One tablespoon of flour and one tablespoon of milk cream or yoghurt. Apply this mixture on the affected area with the gloves. Use circular motions to scrub your skin while you are applying this paste. Let it sit for approx 30 min until the paste is dry. When the paste has dried, start scrubbing in circular motion to remove the excess product of your skin. Scrub the area for about 5-10 min. Rinse the mixture off with lukewarm water. You can repeat this process every 3 days and you can keep this mixture up to 5 days in the fridge. Remember to apply this mixture with gloves since tumeric can stain the tip of your fingers. This mixture is perfect for large areas like feet, legs, back, chest, etc… If you want to apply this mixture on your face test it first on a small area to check your skin sensitivity. These methods will work different on every person. It also depends on how marked your tan lines are. If your tan lines are not very marked you will fade them in two weeks but if your tan lines are very marked you can take up to two months to fade your tan lines. Patience is the key in this process. Getting rid of tan lines is a complex process but it is possible. Try some of these mixtures and keep using the ones that work best for you. This will help you speed up the process. We all have different types of skin, from oily to dry and that will influence on what methods work better. Always be careful with your face and neck since the skin here is much more sensitive. It’s best to try the paste on a small area and wait 24 hours. If your skin didn’t have any reaction you can proceed to apply it on the rest of your face. Vaseline will clog your pores and will create a seal preventing your skin from absorbing any nutrients and/ or moisture.